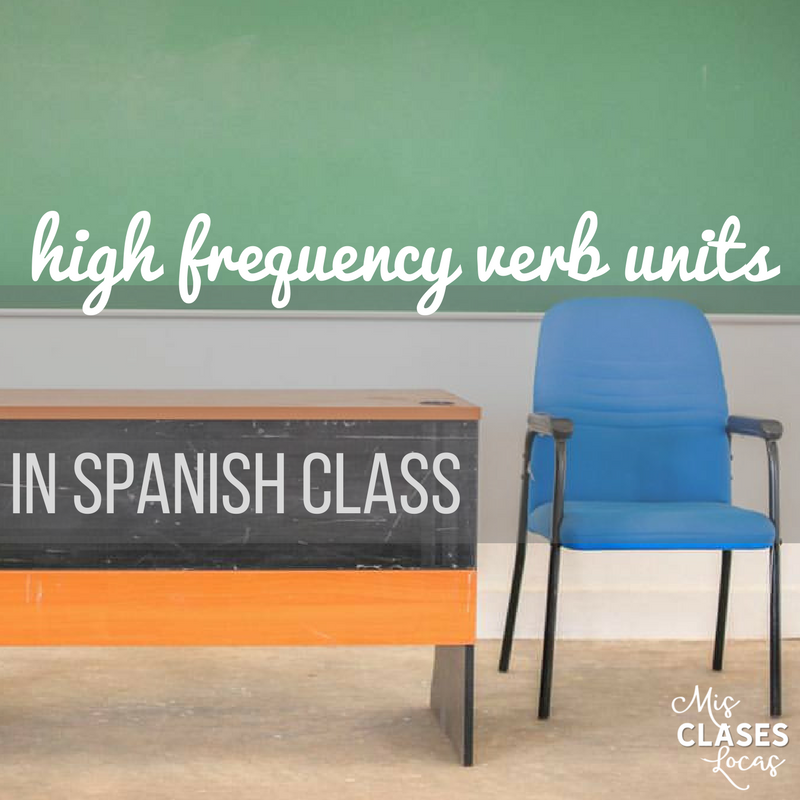 Inside: How to use high frequency verb units (Super 7 & Sweet 16) in a comprehensible input based Spanish class. 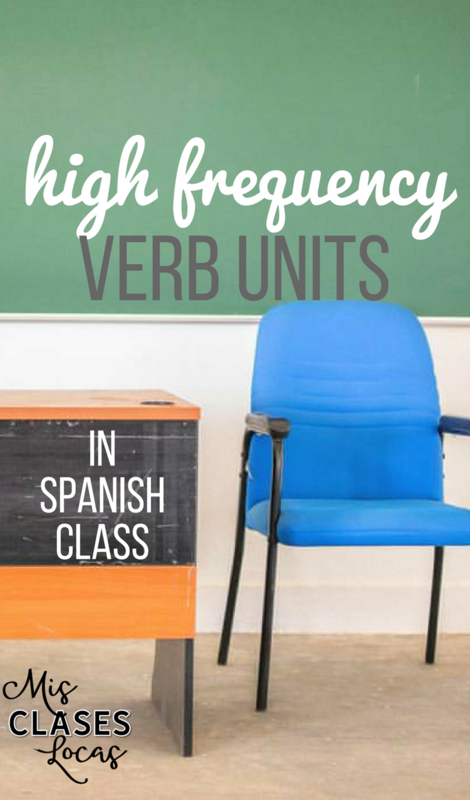 Two summers ago I posted about a Super 7 unit to start Spanish class. Then I shared my 1st week reflections with how I would tweak it. 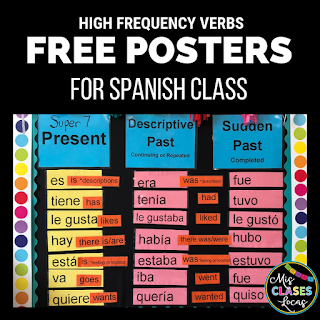 I used the present tense Super 7 unit last year to start Spanish 1, as well as all four sections of my exploratory Spanish, one each quarter. This means last school year alone, I did five rounds of special person interview based around es, tiene, le gusta, hay, está, va a & quiere (from Terry Waltz). Honestly, it never gets old because every interview I learn more about my students and we become more of a positive classroom family. After doing it so many times, here is the formula that I have found has worked best for my novice, non heritage speaking students and I using the specific units that I have created. (To learn more about persona especial interviews, check out the blog of the creator Bryce Hedstrom). Introduce focus vocabulary of the day, which is written on my side board to reference. Special person is asked personalized question using that target structure in a slideshow (idea from Kara Jacobs). I use my clicker, which prompts their first person answer. The the class chorally states the information back. We circle the information until we feel comfortable to move on. Then students grab their guided notes sheet and a clipboard and take down the notes over our special person that are written on the board. Or you could have students work alone, in pairs or in small groups to take down notes open ended style as more of a free write. What to do next with extra time? At that point depending on how much time is left, we may do another interview, or go on to do a different activity. For example I had an 8th grade class that worked on nuggets of the Sr. Wooly song "Guapo" during this unit with extra time, as it ties in great with the vocabulary and mixes it up for a group that could not just sit and do interviews all day each day. I know some teachers have used this unit as a review or with heritage speakers, going quite quick through all questions, and interviewing many people in a day. What if you need to mix up doing interviews? We do a few days of interviews, and then break it up story asking using the same vocabulary in a new and fresh way. We do some activities with the story, and then return to do more interviews, ending with an assessment. Sometimes we do a mid way assessment, where I list the students who have gone and list a few interesting facts in Spanish that they need to match up. To review for the assessments, or to come back to the vocabulary later in the year, I have a Find Someone Who to interview many people or just a partner. At the end, we do a free write, where they write everything they can about a person of their choice. What if I want to go beyond the present tense Super 7? With the success of this unit, I decided to create more. 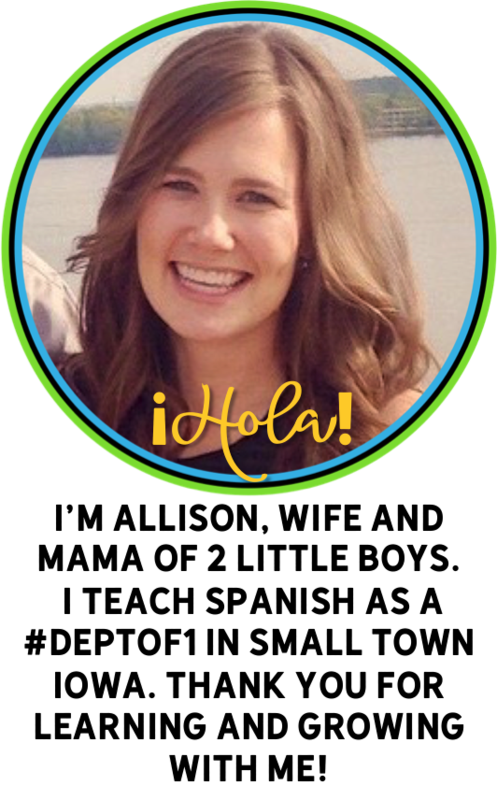 I introduced the past tense to Spanish two last fall with a unit using the Super 7 unit using the imperfect. 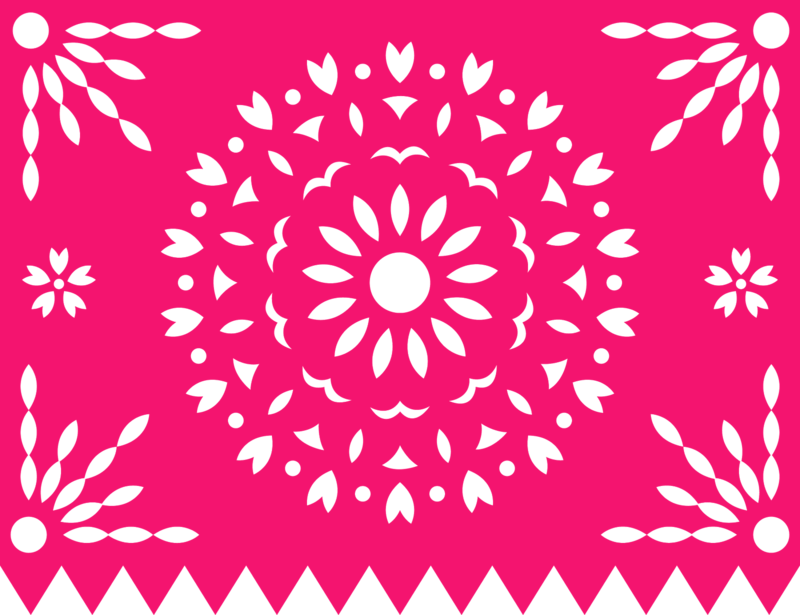 Then after a request, I made one for the Preterite as well. (Another teacher recently posted that she has students send her pictures of themselves as kids to project and add something extra special to the interviews). If you are wanting all 3 of the Super 7 units, along with the accompanying Find Someone Who activities, there is the Super 7 Bundle. I expanded the present tense with a Sweet 16 unit. It expands on the Super 7 and includes the verbs not in the Super 7 (le da, le dice, hace, puede, pone, sabe, sale, trae, ve, oye, viene as identified by Mike Peto). There is also a Find Someone Who with the same vocabulary. My goal is come back to this unit later in Spanish 1, or to do one interview to start class per day, while working on other things too. If you want a specific tense, there is a present tense bundle or a past tense bundle as well. Update! I now have a Super 7 Future Tense unit as well! Update! I now have the Super 7 Unit in French too! What if I want to display these verbs? I finally put together my popular simple bulletin board in a free download. I created it in 2015, so I guess it is time to let you download it too! It is very basic, using very little black ink, so you can print it on your favorite colored paper. 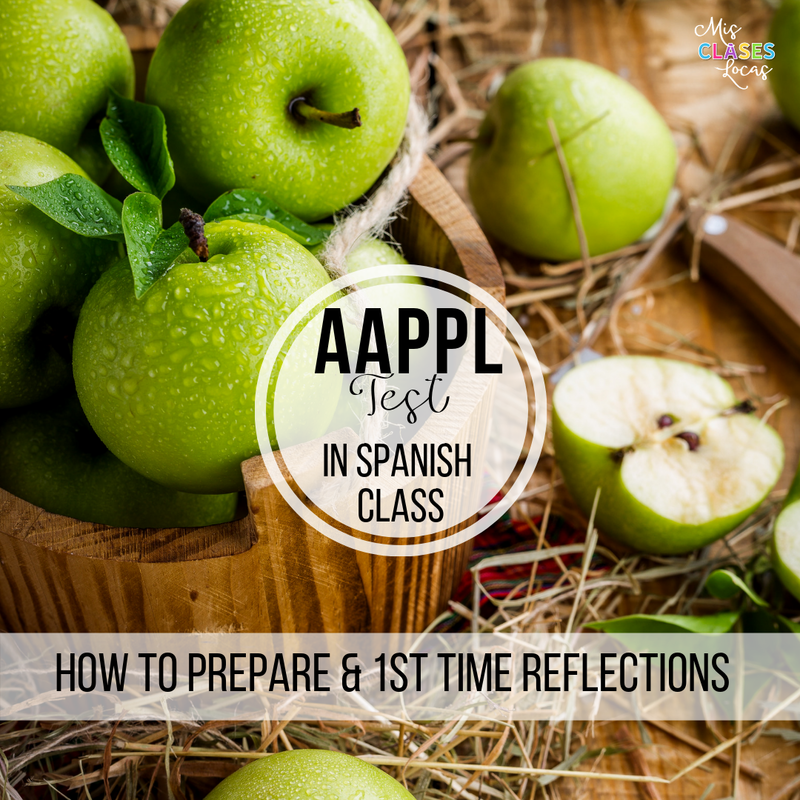 The English is optional if you want to add and remove it when your students are ready. If you use this download and enjoy it, give some love and leave positive feedback, or post it on social media and tag @misclaseslocas so I can see it too. What I have found is so great about these units is they have helped many teachers who are newer to CI techniques to feel more comfortable with doing special person interviews. The structure of having planned questions and not having to think as much on your feet is comforting to those starting out. For example I had a one week university practicum student who watched me use it one day, and then confidently jumped in on day two leading a special person interview for the first time ever like a long time pro. For those with more experience, it provides a starting point, to which you can extemporaneously add more as needed. Have you used any of these units? What tips would you add? Hi. I love your stuff and I tried using the super seven interviews this past September. It was not that successful, but I love the idea. Here is my question. How many verbs do you typically do in a day? I tried to add one per day last year by adding on each day to the verbs from previous days. It was strange in the beginning with only ser. Do you do it differently? Thank you in advance. Allison, I'd love to see a video of these interviews or hear an audio. I'm such a visual learner and I doing your Super 7 stuff for the first time this year. Bryce Hedstrom grades free write looking for the following: Is it true? Is it in Spanish? Can I understand it? Thank you for your response, Allison. You are always so generous with your time and resources. I do have 2 other questions to help clarify things in my mind for planning purposes. Do you have a specific rubric you use to score those free write assessments? I have one from Martina Bex, but I wondered if you use something you developed. I have a score sheet that I put together for a writing assessment with the novel Tumba, but I am looking for ways to improve my scoring of written assessments. I actually use Martina's rubrics and focus on overall performance level. If you would like to do all 4 levels, i would do the Super 7 bundle with present, imperfect and preterite. Then you have options!